to a monastery in Constantinople, where he lived an ascetic life, being known as a great saint. That’s why the bishop of Perinthos ordained him as a deacon. Later he was confirmed as a priest and, afterwards to a bishop of Madite. His holy life and his acts became known to Emperor Vasile the Second (976-1025), who came to Madite to visit him. ​The blessed mother of St. Paraskeva dedicated herself to the saint’s upbringing. She taught her to fear and to love God, according to his commands. St. Paraskeva used to go regularly to the church together with her mother. She would listen to God’s Law and try to apply it. ​Very important is the moment when, at the age of ten, she went to the church and listened to the Gospel of the day, referring to the dialogue between the rich young man and the Saviour. “Sell your fortune and give it to the poor and follow Me”, the Lord said to the rich young man, who wanted to inherit the Kingdom of God”. 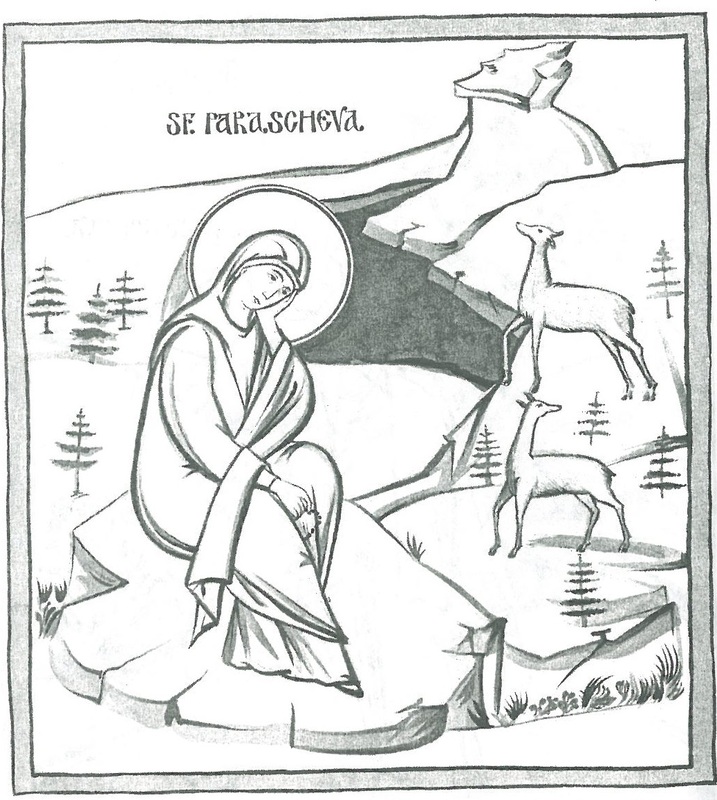 “He is speaking for me”, the little Paraskeva said, just like Saint Anthony, who heard the same Gospel. And, as she was getting out of the church, she gave her clothes to the first poor girl whom she met and put on the latter’s ragged clothes. She often did that kind of thing. She would give her clothes to the poor children and her food to the children of her school. ​One day, while walking with her servant, she met a girl dressed in tattered clothes. She felt sorry for the poor girl and, because she didn’t have any money on her, she wanted to give the girl her golden cross, which she was wearing around her neck. Her servant tried to stop her explaining that she was doing something wrong. But Paraskeva replied: “It is the Cross which told us to be merciful. Could my jewel not be used as charity for this poor girl who does not deserve such a hard life in a society ruled by Christ?”. How could she be indifferent to the poor? She immediately gave the cross to the little girl, who blessed her benefactress, with tears in her eyes. ​Paraskeva’s great virtue also reflected on her face, because the soul enlightens the face and makes it very beautiful. That’s why many rich teenagers would have liked to marry her, but she refused all of them. Her parents told her that they wanted to see her married, not an orphan and unprotected after their death. But Paraskeva said: “Our heavenly Father lives, sees and protects everything. How could someone be an orphan who believes and lives according to His words? Why are you thinking of your death? Only God decides the number of our days. You are still young and you, mother, you look as if you were my elder sister.” Her friends told her that by marrying someone she would become very rich, but Paraskeva showed them the ailing children and replied: “Is there enough richness as to cover the needs of so many unhappy creatures?”. ​Because she was so anxious to see Constantinople, she ran away from home without telling anyone. After seeing all the blessed places of Constantinople, a lot of churches and the relics of many saints, and after receiving advice and blessing from the holy men living there, she left for Calcedon (451). ​The town of Calcedon (the present Kadikoy) is situated in the Bosphor Gulf, near the Constantinople. The fourth Ecumenical Synod took place here (451). After seeing St. Martyr Eftimia’s church and relics, she started for Heracleea of Pont (the Pontiac Heracleea) on foot like a beggar. Meanwhile, her parents had been searching for her everywhere. ​The Pontiac Heracleea or Onoriados was founded in 550b.C. This town was the first mentioned in 431 at the Third Ecumenical Synod in Efes. This bishopric disappeared at the end of the 14th century. Its present name is Eregni. ​In Heracleea the Saint found a church of the Holy Virgin, and lived there for 5 years, in tears, fast and mourning. Who could describe her sleeping mat laid directly on bare ground, her meekness, her pure heart! ​The Saint wanted very much to see the Holy Places to pray there, and thus she begged Christ and His Holy Mother to help her get there. Her prayer was heard because of her virtues and some Christians took her with them to Jerusalem. After visiting the Holy Places, she went to the desert of Jordan and stopped at a monastery of nuns. The devil tempted her in various ways but she defeated him with her tenacity. She would drink only water, and even that in small quantities. She used to sleep on a mat, and had only one tattered coat. She never stopped praying and singing to God. Her great virtues were abstinence and meekness. She followed the life of St. John the Baptist and of St. Elijah, the forerunner of Christ’s second coming and of St. Mary the Egyptian, who had lived in those places for 47 years. She decided to remain in the Jordan desert, where she had experienced the greatest spiritual pleasures. ​One night, while praying with her hands raised towards the sky, she saw an angel in the shape of a young man. He came to her and said: “Leave the desert and go back to your country. You’ll end your earthly life for you are dust and in dust you’ll return and your soul will go to Heaven next to you Bridegroom whom you love more than your parents, your relatives and any other earthly goods”. She realized that she had had a divine vision and was very happy because she was to leave the earth and go to Heaven. ​After having this vision, she left the beloved desert and, at the age of 25, she went back to Constantinople. There she visited St. Sofia’s church, the church of the Holy Virgin in Vlaherne and some other holy places. 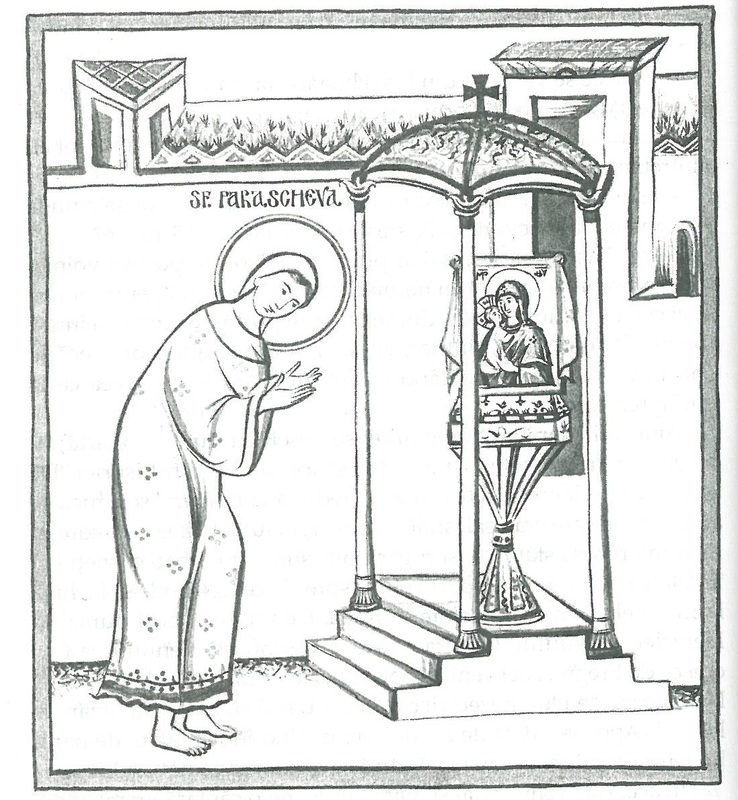 St. Paraskeva kneeled in front of the miraculous icon of the Holy Virgin, raised her hands and prayed in tears: “My Holy Lady, all my hopes are directed towards you. Don’t reject your humble servant, accept me, the sinner. I’ve kept loving your Son and my God since childhood. You know the weakness of human nature. You are the protector of my life. You helped me in the desert and now, when I’m back in the world, I beg you to help me again. Stay beside me; give me advice and guide me until the end of my life”. ​After praying and receiving blessings, she started her way back to her home. She was very ill and the situation became worse during a storm which almost caused a shipwreck. The sailors tried to reach the shore. When St. Paraskeva felt the danger, she cried “kalhv kratevi”. That is why the place is named Kallicrateia. ​Kallicrateia, the present Mir Marsiinan, is situated on the shore of the Anthira Gulf (Buyuk Cekmece) in the South-East of Thracia. The monument and the church of St. Paraskeva were erected here, but later on, the church was transformed into a mosque, which was demolished in 1980, and a new mosque was built in its place. ​According to a tradition, she reached Epivata where she founded a community for helping the poor, she also took care of the church and helped the suffering people, the widows, and the orphans, the old ones and everyone who was in need. According to another tradition, which is more acceptable, she went to Kallicrateia, in Eastern Thracia, and took care of the church of the Saint Apostles. She lived there for 2 years, alienated and unrecognized by anyone. ​At only 27 she gave her holy soul in to God’s hands, Whom she had loved since her childhood. Her body was buried by the sea. Many years passed by. The natives forgot the stranger who toiled and took care of their church. But God, who praises those who love Him, never forgot her. After many years, the sea brought on the shore the dead body of a sailor. It stank terribly, and nobody dared to pass near that place. There lived nearby a stilite monk who prayed days and nights. As he could not stand the terrible smell anymore, he descended from the top of his pole, and asked some neighbours to bury the corpse. The moment they were digging, they found an unaltered body. They were amazed, but being simple men, they were not too much impressed by that and threw the stinking body of the sailor in the same hole, and covered both bodies. Everything was forgotten. A pious man in the village, named George, who loved Jesus, prayed for hours and hours during the night. Once, at dawn, he took a nap, and dreamed of a young woman dressed in white like an empress, sittin g on a bright throne, surrounded by a lot of bright soldiers. When he saw that, he was so frightened that he fell down, not daring to look at their brightness and beauty. One of the brightly dressed soldiers took his hand, raised him and said to him: “George, why haven’t you taken care of the Pious Paraskeva’s body? Take it quickly and put it into a bright coffin, because the Heavenly Emperor praised her in Heaven and wants her to be adored on earth too”. And the emperess dressed in white told him: “Take my relics soon and place it in a respected place, I cannot stand the stinking smell of this man”. She told him the place she was buried, her name and birthplace. 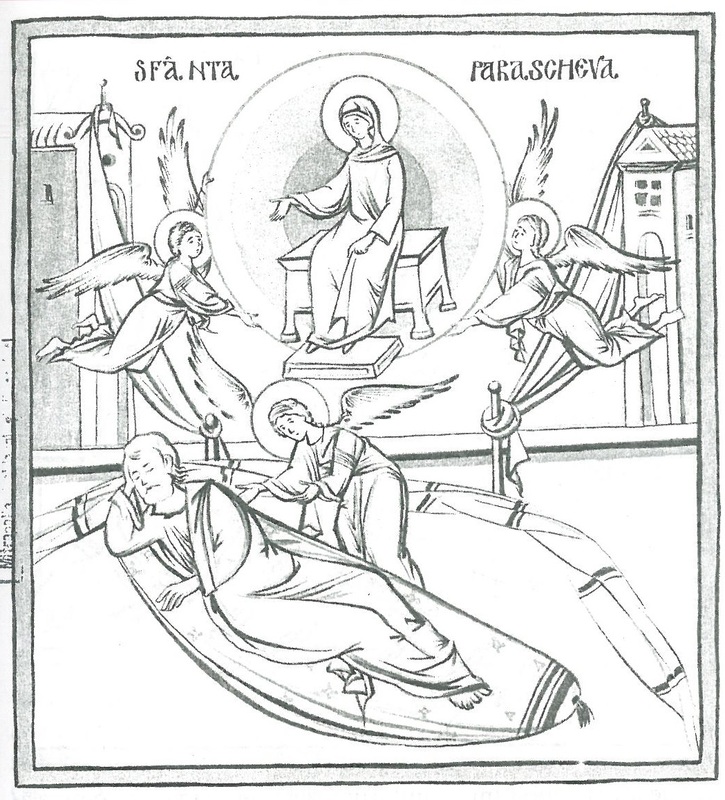 In the same evening, a pious woman in the village, Eftimia, had the same vision during her sleep. The next morning they both told their visions to the peasants. They all ran to the grave and found the untouched body of the Pious emanating a fine perfume and working a lot of wonders when they removed it when a group of priests and believers to the church “The Holy Apostles” of Kallikrateia. Some researches say that the holy relics remained in Epivata for about 200 years, and not in Kallikrateia. The miracles that happened afterwards both in that village and in the surrounding villages where many sick people were brought are a proof of her holiness. There were cured all kinds of ill, crippled and demonized people. Her holy relics became a source of health. ​Every day countless believers came to kiss the holy relics and to ask Pious Paraskeva to witness in front of God for the salvation. ​After about 200 years, St. Paraskeva’s relics were moved to Tarnovo, the Capital of the Vallachian-Bulgarian Empire. The discovery of St. Paraskeva’s holy relics caught the attention of many theologians at the time. The first written account of her life was under ecumenical Patriarch Nicholas of Muzelon in the middle of the 12th century. The next official account comes from Bulgarain Patriarch Eftimie of Tarnovo in the second half of the 14th century. 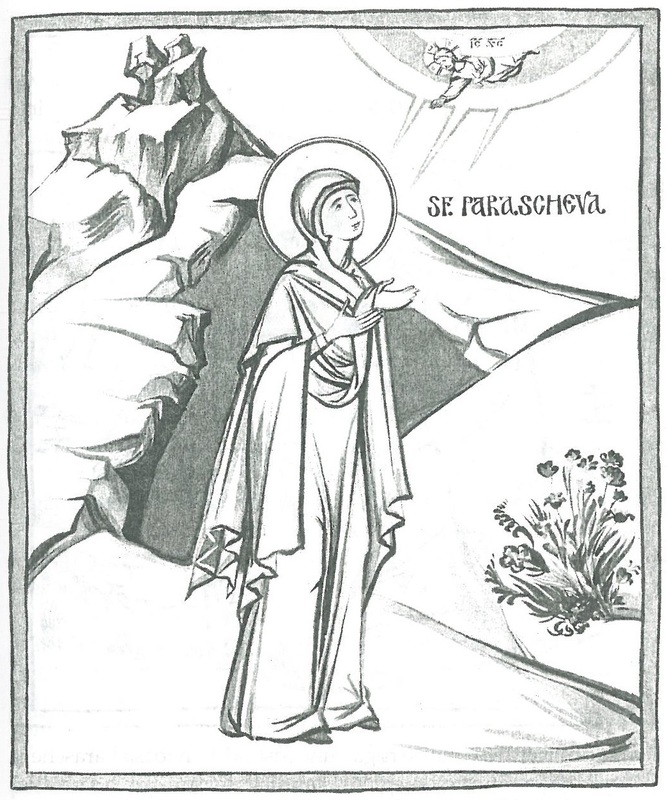 The life of St. Paraskeva appeared in the Romanian language in 1643. The Metropolitan of Moldova, Varlaam, used Greek and Slavonic manuscripts to write her life based on Patriarch Eftimie’s earlier work. 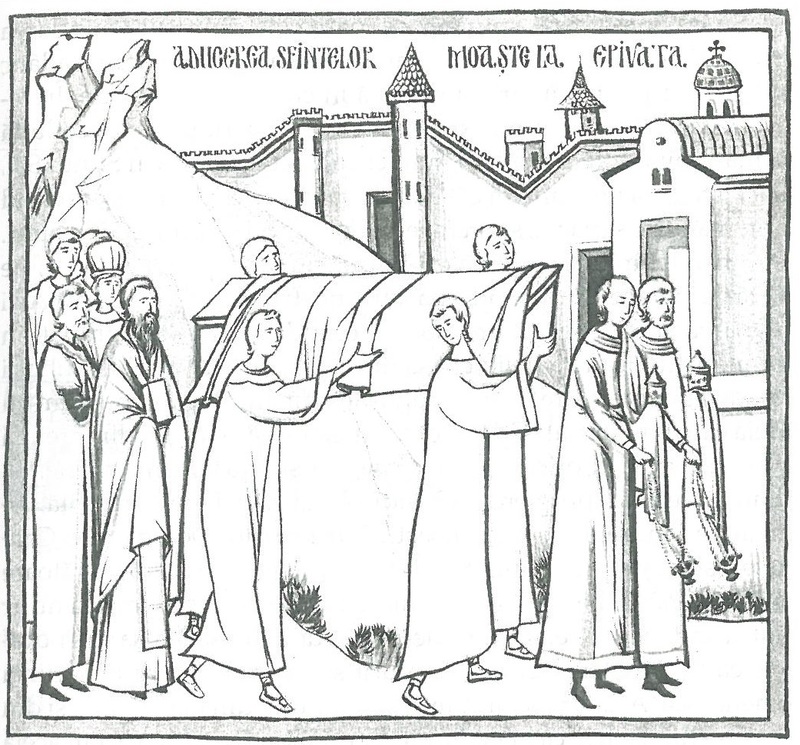 The holy relics took quite a journey from Epivata to Tarnovo, Belgrade, Constantinople, and finally Iasi. For more than 200 years (1185 – 1393), Tarnovo was the political, administrative and cultural centre of the Bulgarian Empire. 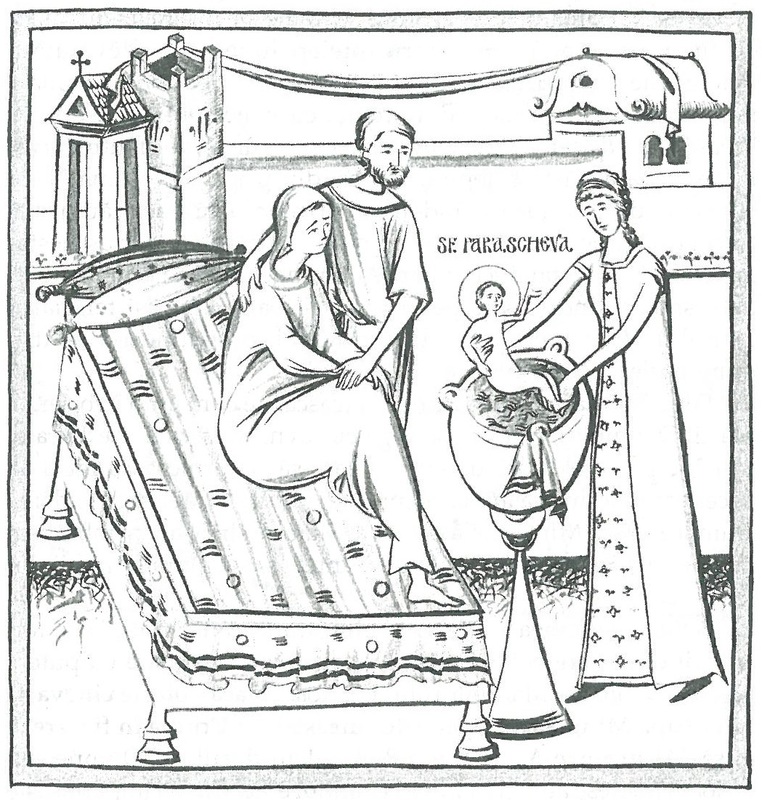 In a short time, St. Paraskeva became very loved and honoured by Bulgarians. In 1393, the Sultan Baiazid attacked Tarnovo and Patriarch Eftimie. The same year, the relics were moved for 5 years in Vidin (1393 – 1398). After the battle of Nicopole from 1396, Bulgaria became a part of the Ottoman Empire. 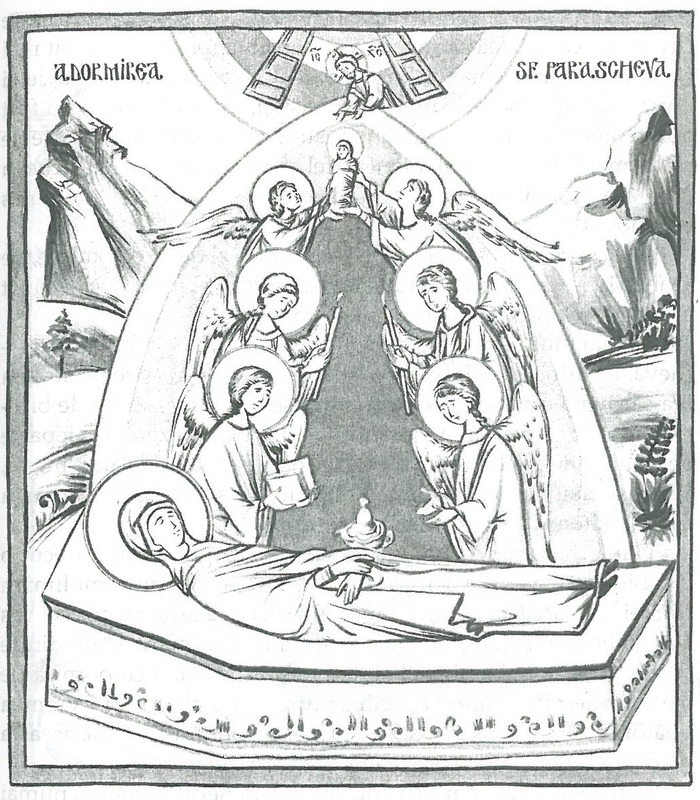 St. Paraskeva’s relics continued their pilgrimage. From Vidin they arrive in Belgrade, Serbia in 1398 due to the tzar’s wife Militza, who asked them from the sultan Baiazid. In 1521, the sultan Suleiman the Magnificent conquered Belgrade. Many of the inhabitants were sent to Constantinople. The main church was changed into a mosque, and the previous objects were stolen. 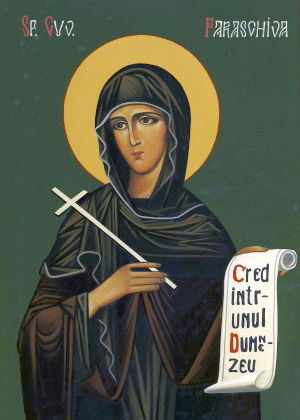 St. Paraskeva’s relics were sent to Constantinople. As they worked many wonders, the Turks were afraid of them. ​After Constantinople fell in 1453, the Ecumenical Patriarchy was in for a very difficult period. The Orthodox peoples in the Balkans were under the Turkish rule, paying great tributes. 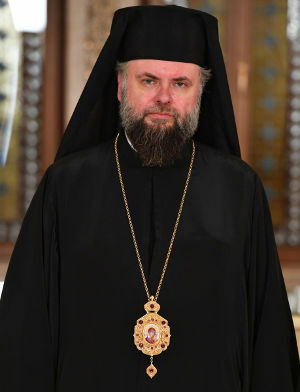 The debts of the Patriarchate would permanently increase. In the period, Moldavia was reigned by Vasile Lupu (1634 – 1653). During his rule, the Orthodox Church reached great magnificence. Like his predecessors had done before, Vasile Lupu helped the Holy Places, paying the debts of the Patriarchate of Jerusalem. He paid the debts of the Ecumenical Patriarchate many times as well. In May 1641 the Patriarch Paternios of Constantinople, together with the members of the Holy Synod of the Ecumenical Patriarchate signed a document of gratitude to Vasile Lupu for all his help, deciding that St. Paraskeva’s relics would be given to him as a “reward for him and for sanctifying his country”. The relics of St. Paraskeva were brought to Iasi on the 13th of July, 1641, accompanied by three hierarchs. At Iasi they were welcomed by Vasile Lupu and his family, by Metroplitan Varlaam, by other Moldavian Bishops, by abbots, priests and many faithful people. The relics were placed in the church of the “Saintly Three Hierarchs” in Iasi. Today her relics remain in the Metropolitan Cathedral in Iasi, a monumental building from the 19th century. In 1889 they were brought there from the Monastery of the Three Hierarchs. In the ‘Lives’ written throughout the centuries, St. Paraskeva is supposed to have had either a Greek, Bulgarian, Serbian or Thracian one. That happened because, usually, when her relics were brought to a certain country, she was considered to have the origins of that particular country. There are no doubts about the name of the locality in which she was born, Epivata, near Kallicrateia, but its geographical location is very controversial. That said, Orthodox Christians remain united in their reverence for her. Likewise, His Holiness Pavle, the Patriarch of Serbia says: “St. Paraskeva, like all saints, preaches for unity. The saints unite us, no matter where they are from: Romania, Russia, Bulgaria, Serbia. They unite all peoples in front of God.”.